It’s the time of year for Christmas beers! Raise a Toast to the Season! Belgian brewers love opportunities to make special-release beers, so in Belgium, Christmas beers are an annual event at many breweries. The tradition is not limited to Belgium either. Scandinavia’s tradition of holiday beers goes back to the Vikings, who celebrated the Winter Solstice with Jul (Yule) beers, which each household was required by law to brew. 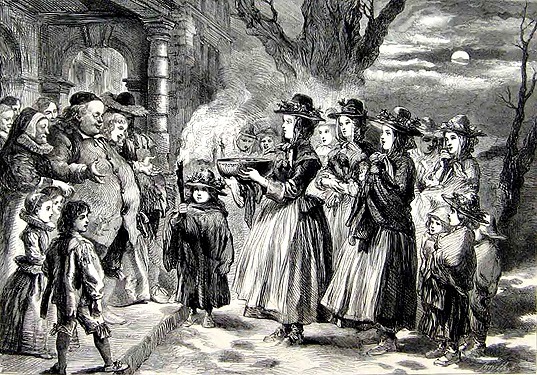 Wassailing (the predecessor to Christmas caroling) was the practice of going from house to house singing songs in exchange for strong beers. If the beer was not strong enough, there were consequences for that house. Later on, 19th century brewers in Britain, Germany and Belgium traditionally offered stronger beers during the holidays as a “thank you” to their loyal patrons. The Belgians, who already used non-traditional ingredients in their beers, often added fruits, herbs and spices to their holiday offerings. Christmas beers are less of a style than a tradition. There are hardly two alike, although most are stronger than their year-round counterparts and many have special seasonal ingredients. At my brewery, Bruz Beers, we are releasing five holiday beers this season: Brut La Grande, Figgy Puddin’, Gingerbread Dubbel, Saturnalia, and Belgian Chocolate Stout. Another style of Belgian holiday beer that goes well at Christmas and New Years is Biere Brut de Flandres – or Champagne beer. These are very pale ales which resembles fine Champagnes and are made using traditional Champagne processes. Deus and Malheur are the two most well-known names. Bruz Beers makes one of the few Biere Bruts in the United States. Brut La Grande is brewed once a year and released at Thanksgiving. There are lots of great Christmas beers out there – from both European and American craft brewers. No holiday season is complete without enjoying a few of them at your favorite pub or brewery, in front of a roaring fire or on your holiday table.